We build all our own systems... Why? Quite simply, so we can offer the best service and support possible. We use high quality parts to ensure full compatibility. In the unlikely event of a breakdown no frustrating calls at premium rate to support staff in the far east; if we cannot resolve your problem remotely we will attend personally to solve your hardware issue. All part of our unique onsite warranty. From Windows laptops, netbooks, to custom built desktops and servers for both home and a SOHO environment; we can supply all of these to you. 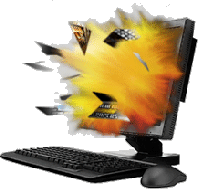 If you need an upgrade on your current PC hardware, that is not a problem either. From memory upgrades, Graphic cards or replacement hard drives. We can recommend the best devices for you, as well as set them up. 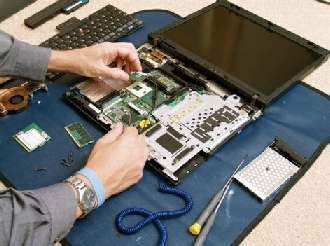 Laptop repairs, no problem,Laptops give us the benefit of using our computers on the go anywhere, however they are also are prone to getting damaged more easily. If you have a cracked screen or missing keys on your keyboard, call us for a cost effective and quick repair, normally at your home or office. If you're fed up with a slow computer or worried about your systems protection from the ever increasing threats from the Internet. 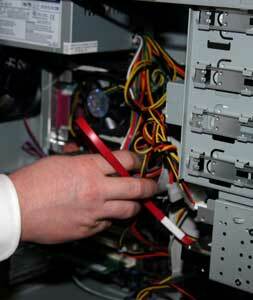 Contact us today on 01438 225922 and speak to us about one of our Computer Healthchecks.